Yup, that's right, the biggest Neopian absurdities of all time!!! You may remember me, Bluescorchio104, from 'The Biggest Neopian Mysteries of All Time". Anyway, in the space of this handy article, I am going to tell you about, and explain, some of the most absurd things in Neopia. A clown in the Battledome? That is just plain WRONG!!! Who could possibly beat up a poor, practically defenceless little clown? Sure, he might be trying to kill you, but that's no reason to hurt him, is it? Of course it is, so go right in to the Battledome after you have finished reading this article, and pound him to a pulp! Not only does it add to your Battledome score, but it's a great stress reliever. I really don't understand why he's in the Battledome though, shouldn't he be a circus somewhere, doing whatever clowns do? I wouldn't really know, I've never really liked clowns anyway. If you ask me, he's a result of some messed up experimental Paint Brush, or something. Recently, the Ghost lion somehow miraculously transformed into Ghost Lupe. How did this change occur? Perhaps there's a type of Ghost Lupe Morphing potion that we don't know about? And who would possibly create this potion? None other than the fiendish, evil, power-hungry, makes-you-want-to-wet-yourself Dr. Sloth! Probably, Sloth thought that since the Ghost Lion was, well, a ghost, that he would probably be compatible with the Ghost Lupe Morphing potion, and somehow tricked the Ghost Lion into taking the concoction. How did a lion, whether it be a Ghost or living, find its way into Neopia anyway? Maybe ghosts from the human world can by some means travel to Neopia? That does explain the existence of the Money Tree Ghosts? The Gallery of Evil says that the Ghost Lupe is actually the ghost of a Lupe Knight, killed on the shores of Mystery Island while trying to rescue his bride. Do not believe a word of that last sentence! It's probably Dr. Sloth's way of covering up his experimentation with the Ghost Lupe Morphing Potion! How do you know that the Gallery of Evil is lying? Easy, because a) There is no way of getting married on Neopets, so the Ghost Lupe couldn't possibly be rescuing his bride, and b) If every dead Neopet turned into a ghost, why don't we see any Ghost Chias or Ghost Mynci's hanging around? Mmmmmmmmm�. A Meerca made entirely of snot? You gotta be kidding me! Possibly yet another creation of the legendary Dr. Sloth, but what would Sloth want with a Meerca like that? I personally think the creation of Meuka is entirely Neopia's fault! It could very well be that due to an epidemic of D'achoo, that Meuka has been created. Perhaps, a certain Meerca was so badly infected, that it turned to mucus! There's also been the numerous disappearances of Petpet Boogies. Maybe the appearance of the snot Meerca and the disappearance of the Boogies are related? Maybe, at this very moment, Meuka is amassing an army of mucus-thirsty Boogies, all wielding a whip-like Meuka's Snot Trail each!!! They'll probably set up their own land, called Bogey Island, or Mucus Mountain, or even Snot Space Station!!!! The horror, the horror!! But just how does Sloth fit into all of this? I mean, he's behind just about every single evil scheme, or malicious plan that has ever happened to Neopia, right? He's got be behind it� I just know it! A giant snake made out of ice? Not only is this is impossible� it's just plain weird. It's obviously living, and literally cold-blooded, but how does it survive? I mean, what does it eat? Where does he go to the toilet? It supposedly eats Neopets, but I've never heard of a single incident where the Snowager has eaten a Neopet? Have you? He also seems to be intelligent, but he won't communicate with anyone, let alone trade or barter with a few of his items. I don't know what he's up to, but I sure hope it isn't something to do with Dr. Sloth, who, I repeat, is behind almost every fishy, no-good scheme in Neopia. Who in Neopia ever heard of huge, underground dwelling, aqua coloured, Neopet-eating monsters? This is the guy you go to when the Brain Tree asks you a question concerning the date & place of death. Why? Because this weirdo somehow knows the date and place of death of every Neopet! 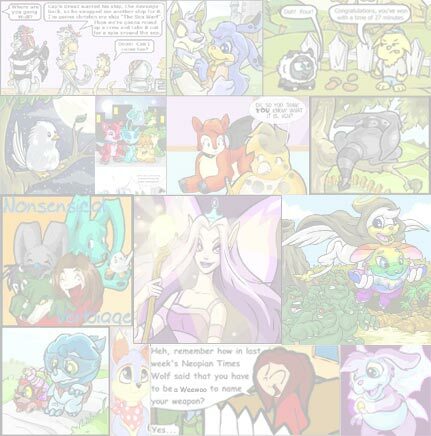 Wait a minute� Neopets can't die! It's impossible! Even if Neopets could die (which they can't), how could the Esophagor possibly know about the deaths of all those Neopets? To add to all this madness, this monster has an unusual craving for Spooky Food, which you can only get from Edna the Witch. Perhaps there's a strange kind of cycle happening here. As I see it, first of all you get Food or a Toy from the Main Shops, which you give to Edna the Witch when she asks for it, and in return for completing the quest you receive some Spooky Food. You then proceed to give that very same Spooky Food to the Esophagor, who then tells you the date and place of death of some unfortunate Neopet. Last of all, you tell the Brain Tree the date and place of death of the Neopet, and he gives you a few thousand Neopoints and an item that is worth practically almost nothing (unless it's an Attack Fork, of course). If you ask me, there's some arrangement going on between the Shopkeepers, Edna, the Esophagor and the Brain Tree, but I'll leave you to draw your own conclusions. 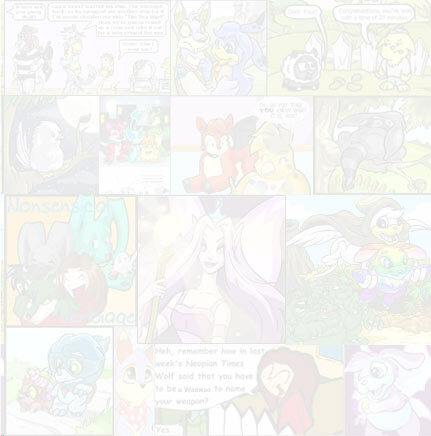 And that just about sums up the weird and strange things that the Neopets Staff come up with. Till next time, and don't forget to keep an eye out for bizarre new things in Neopia! "STAY AWAY!! YOU HAVE MINTY FRESH BREATH!" MonoKeras gets a very famous client... Al the Chia! The Genius Mr_Polkadot and The Apprentice! "But Boss! What about Carrot Gravy?! It is delicious, no?"